Midtown's location is one of the many things that make it inimitable. Located in the International Media Production Zone (IMPZ), this residential address will attract a cosmopolitan clientele. 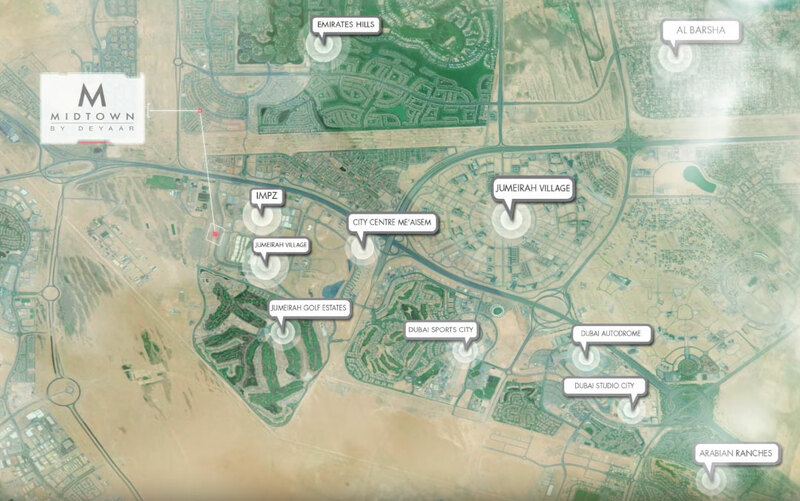 The residents of Midtown will enjoy spectacular views of the Dubai Skyline and the Jumeirah Golf Estates.